Sorry, there is no available scheduling at this time. To calculate our physician ratings, Advocate Medical Group uses the Consumer Assessment of Healthcare Providers and Systems (CAHPS) Clinician and Group Practice survey, which was developed by the Agency for Healthcare Research and Quality for use in hospitals and medical practices across the country. These CG-CAHPS surveys ask patients to evaluate how well their provider communicated, listened and showed courtesy and respect toward them. Results are used to evaluate patients’ overall perception of care and to identify areas for improvement. Did this provider explain things in a way that was easy to understand? Did this provider listen carefully to you? Did this provider give you easy to understand instructions about taking care of these health problems or concerns? Did this provider seem to know the important information about your medical history? Did this provider show respect for what you had to say? Did this provider spend enough time with you? 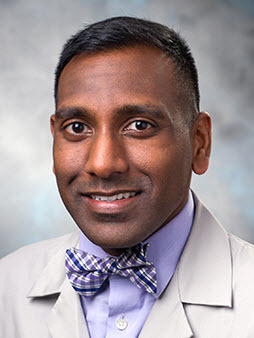 health eNews with Pavan Vabilisetti Murty, M.D. Learn more about this provider and request an appointment online. Prior to requesting an appointment with any provider you select, confirm with your insurance carrier that this doctor is in your insurance network. Information listed under the "clinical interests" columns was supplied by the physicians. It is provided to you for informational purposes only, and neither Advocate Health Care nor the Advocate facility has independently verified the information. If you wish to confirm the information contained herein, or if you have any other questions about a particular physician, please contact the physician’s office. Unless otherwise stated, physicians are independent practitioners who are not employees or agents of Advocate Health Care or the Advocate facility where the care is being provided. Neither Advocate Health Care nor the Advocate facility shall be liable for the medical care provided or decisions made by these independent physicians.